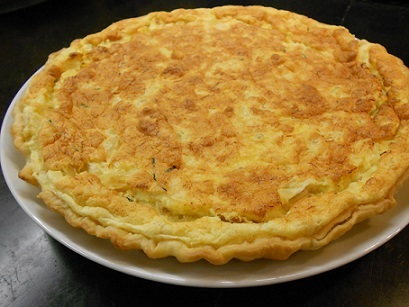 Bacalhau Pie, know as Tarte de Bacalhau, is a unique take on the traditional Bacalhau com Natas dish in Portuguese cuisine. It takes the signature flavors of signature Bacalhau com Natas and transforms it into a deliciously rich and flavorful pie. 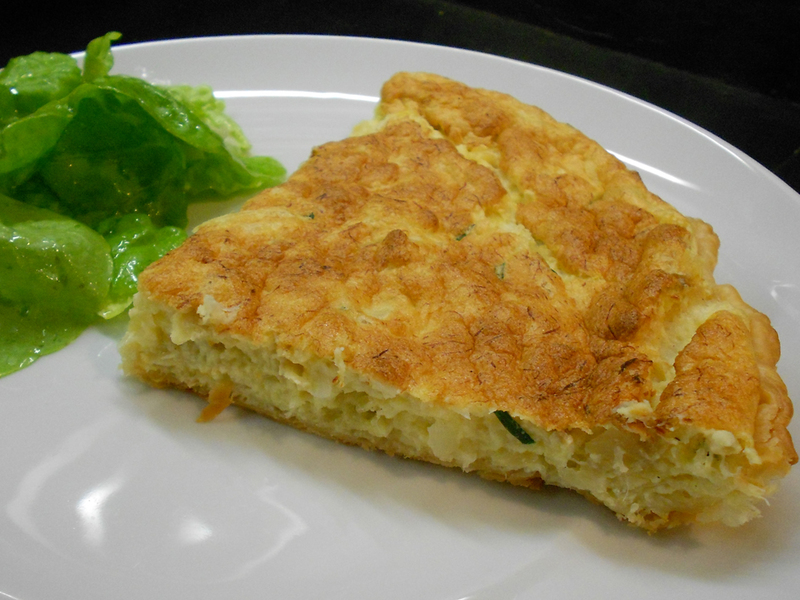 It has a wonderfully rich egg and cream based bacalhau filling with a perfectly golden crust. This dish is quite simple and easy to make and perfect for serving with guests. 1) Begin by soaking the cod in a bowl of cold water. After 24-48 hours, drain the cod, rinse, and drain again. Do this process 2-3 times. 2) Now remove the bones and skin and pull the cod into small shreds, set aside in a bowl. 3) Add the garlic cloves, leeks, and chopped onions to a frying pan and saute them in the olive oil. 4) Add the shredded cod to the pan and let it cook on medium heat for 2-3 minutes. 5) Season with salt and pepper to taste and stir it well. 6) Lay out the premade pie crust and pour in the filling from the pan. 7) Separately, mix the eggs with the milk, flour, and heavy cream until it reaches a smooth and even consistency. 8) Pour this mixture over the premade crust. 9) Bake at 355 degrees Fahrenheit for about 30 to 35 minutes or until the crust is golden brown. 10) Once done, remove from the oven and let the tart cool for 15 minutes then serve.